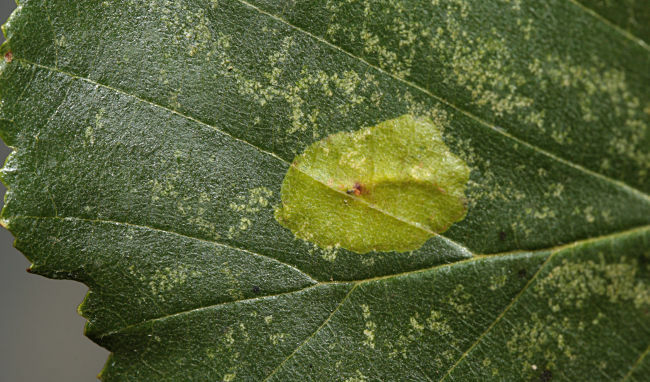 Notes: Common in damp woodland throughout much of England and Wales, and parts of western Scotland. Probably under-recorded in Hampshire or on the Isle of Wight, where the extent of known records correlate with those areas in which the recording effort is concentrated. Wingspan 6.5-7.5 mm. 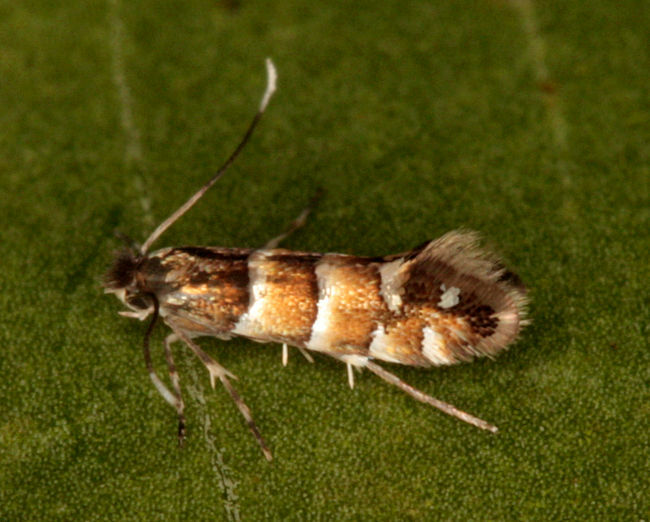 Imago similar to P. tristrigella, P. froelichiella, P. nicellii and P. kleemannella, but the only one of the group to have a blackish brown vertical tuft on the head. P. stettinensis may also be distinguished by its short basal streak; P. tristrigella usually has a pale basal spot, but the other species no indication even of this (MBGBI Vol 2). Imago seldom encountered at light, and more likely to be recorded in the larval stage, when mines are relatively easy to find where they are present. 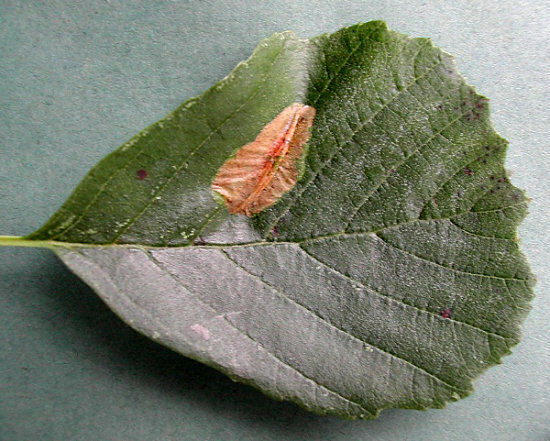 Larva mines leaves of Alder, over-wintering as a pupa in a cocoon.